Can’t wait for your Nokia Lumia 920? Although shipments have started, not everyone has been able to get their hands on one yet. 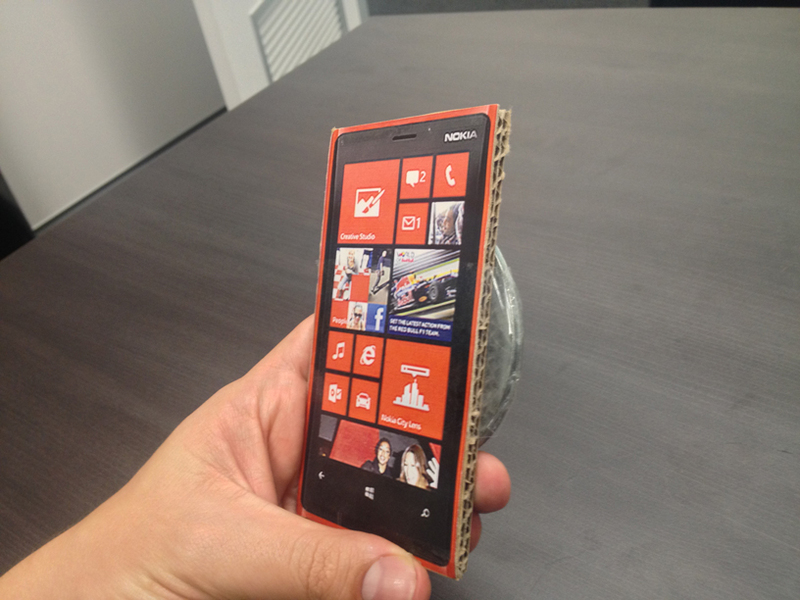 But here’s an inventive solution constructed by my friend Geoff to “get a feel for the Lumia”. This entry was posted in Hacks, Nokia and tagged lumia, lumia 920, nokia. Bookmark the permalink.